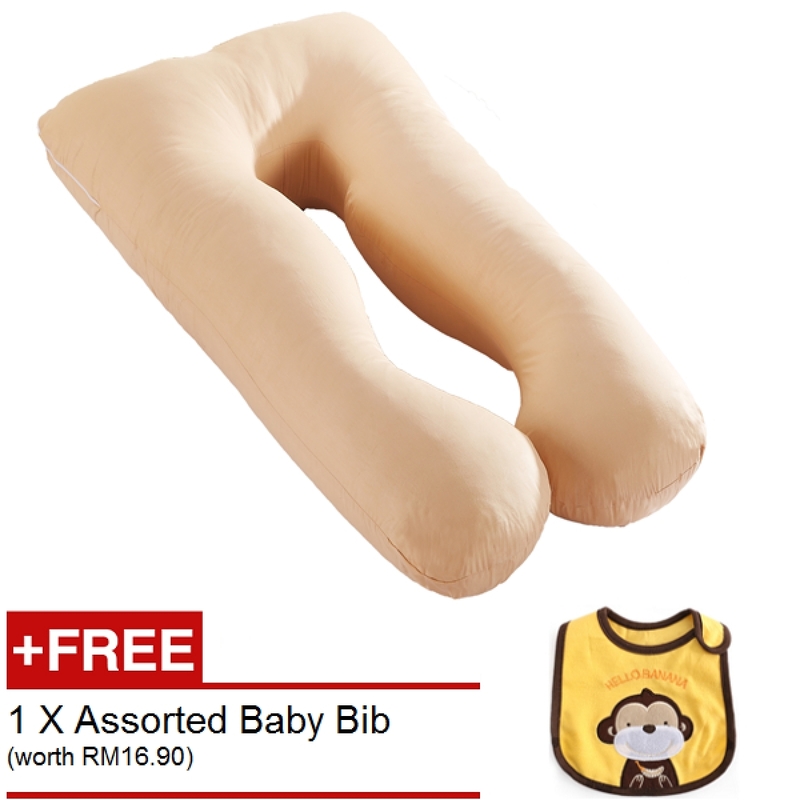 Premium grade with upgraded filling to 3.0 kg to 3.2 kg to provide maximum support. 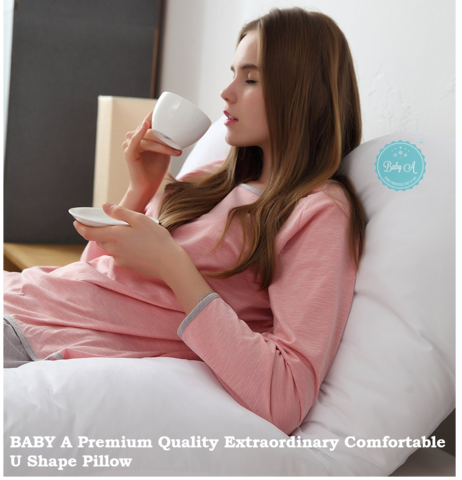 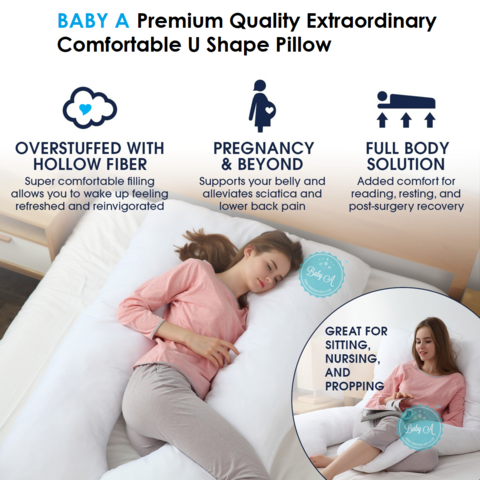 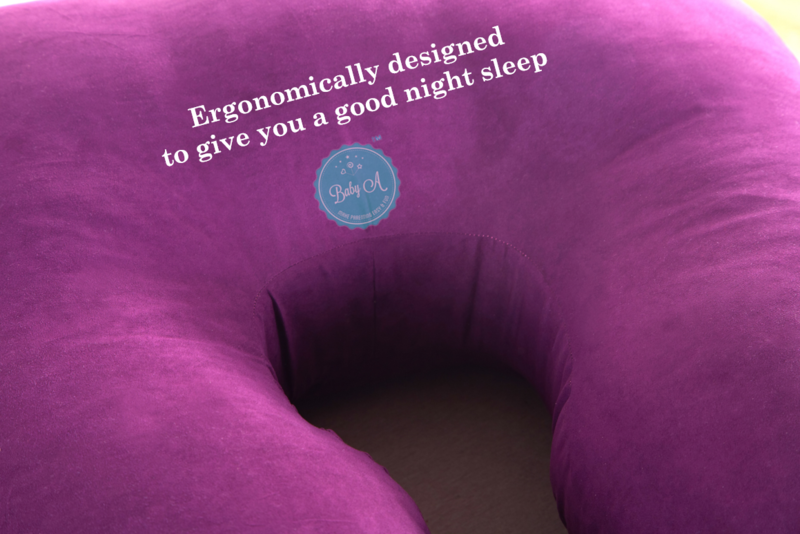 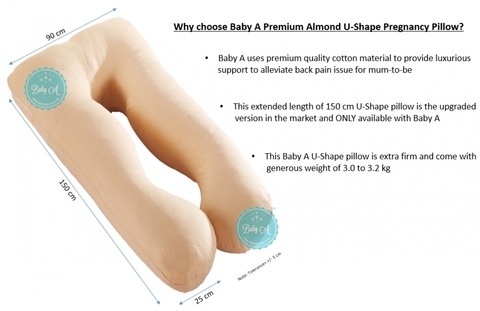 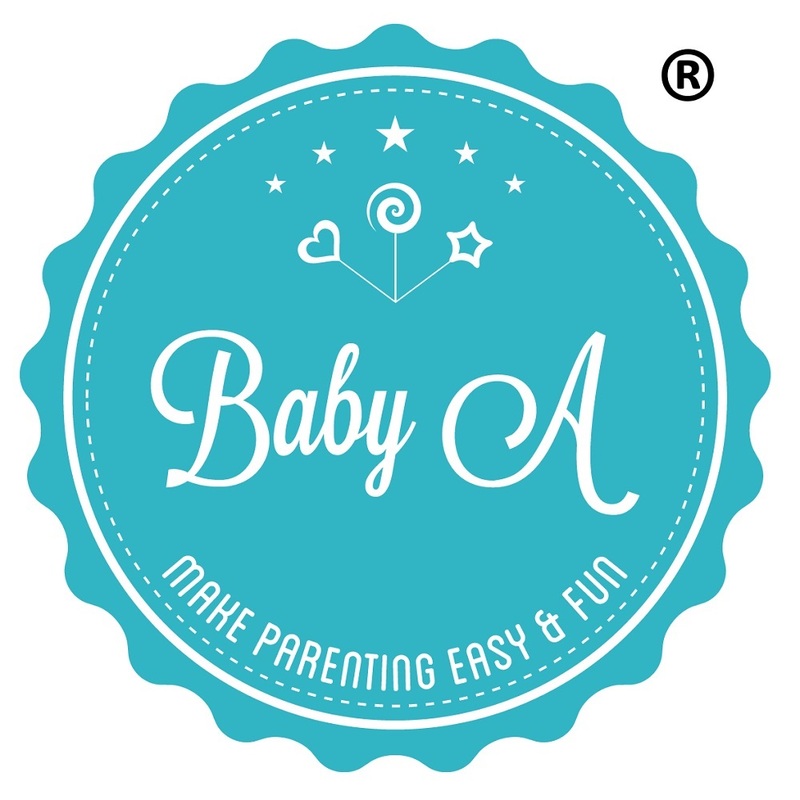 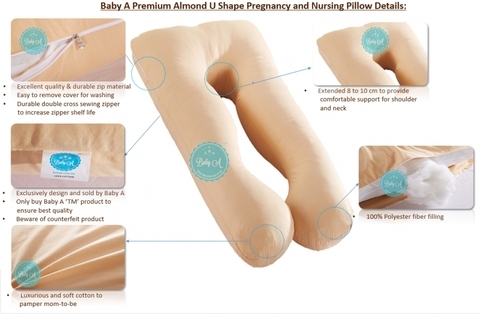 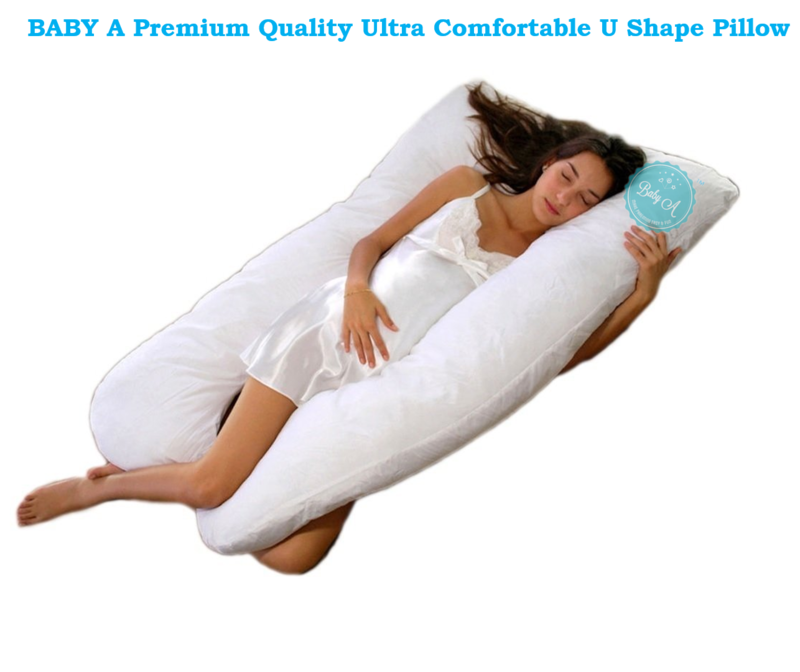 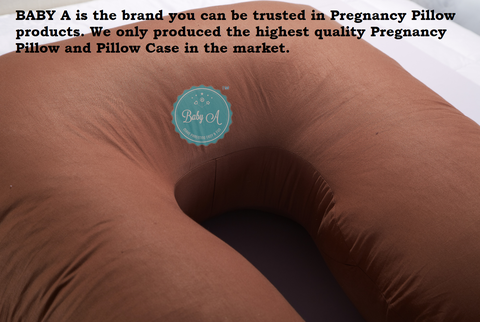 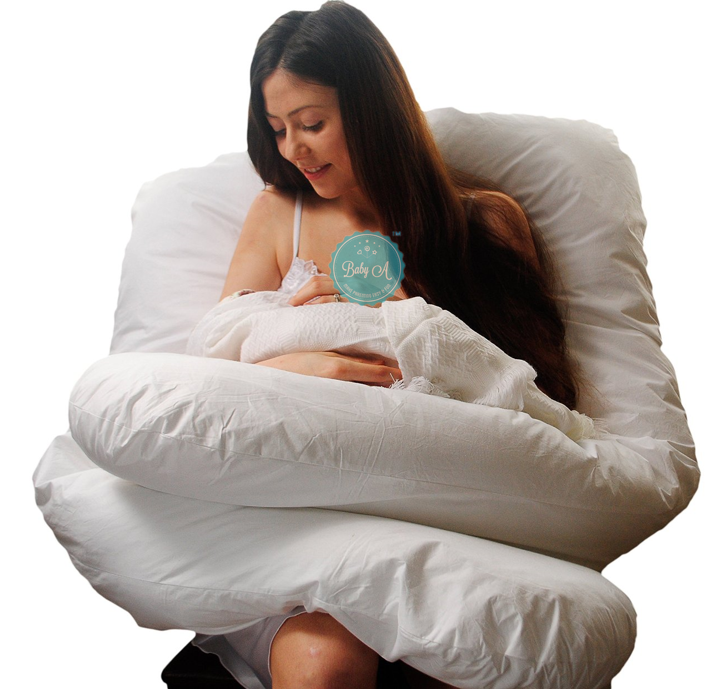 Ergonomically designed U-shape to give maximum support for mum&apos;s back and belly. Helps mothers attain the side sleeping position recommended by gynecologists that enhances circulation. 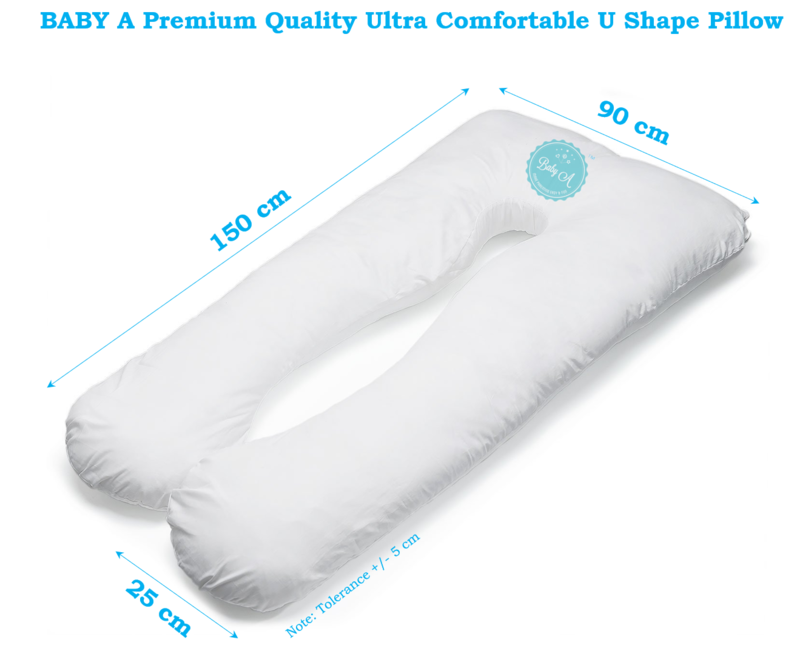 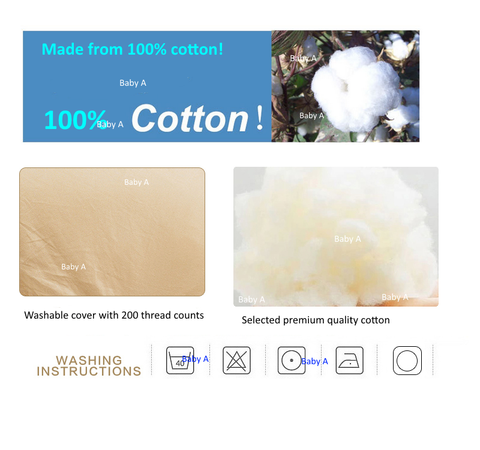 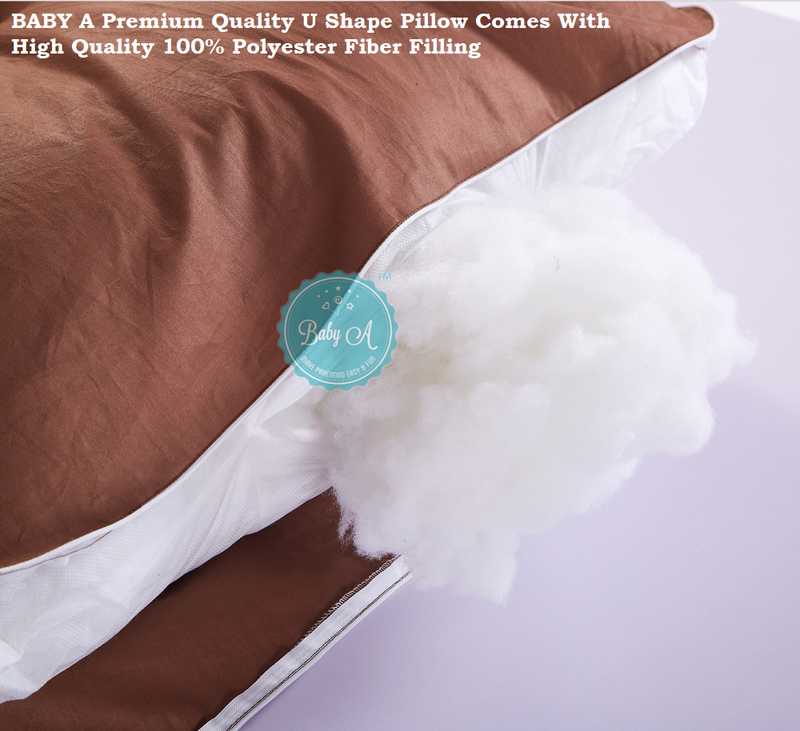 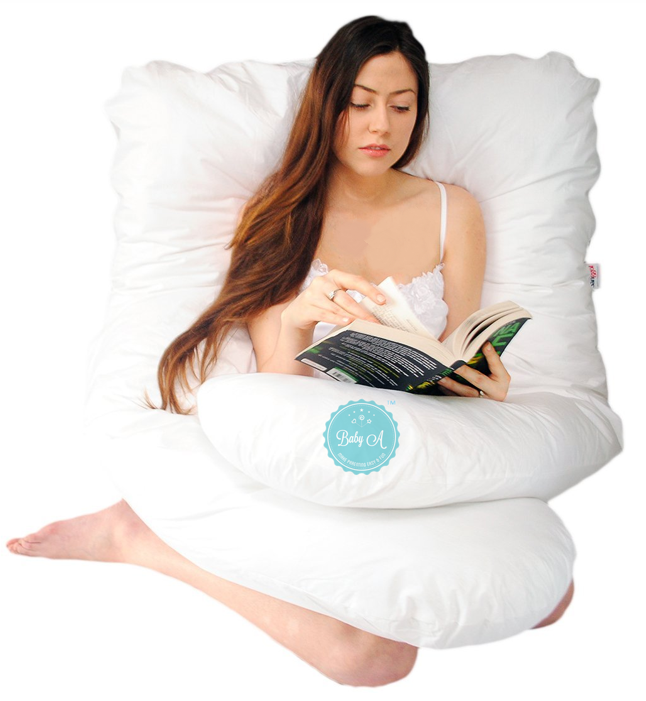 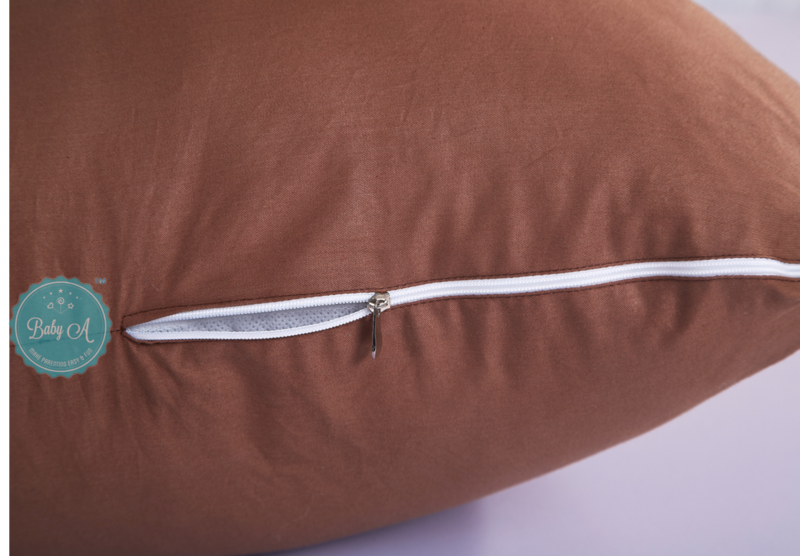 100% high quality soft cotton materials for bolster/pillow cover. 100% soft polyester fiber filling. 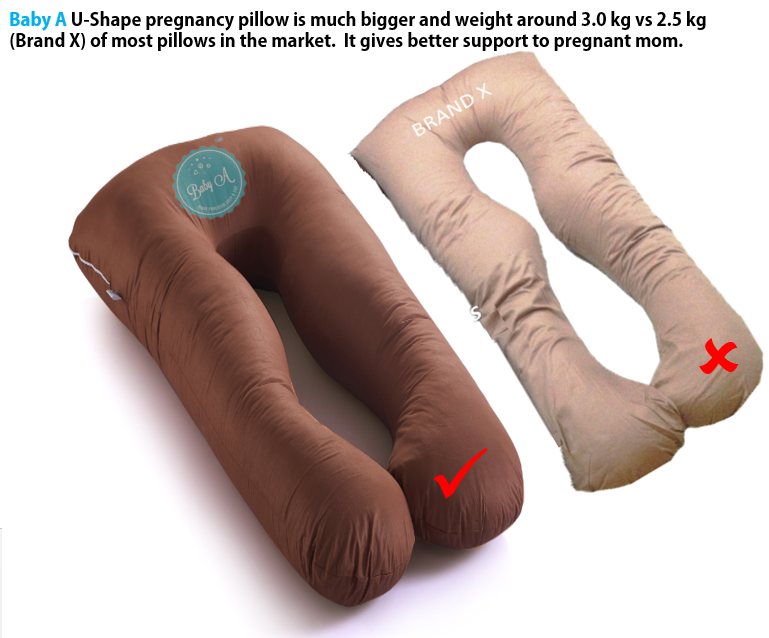 Great gift for mum-to-be during pregnancy. 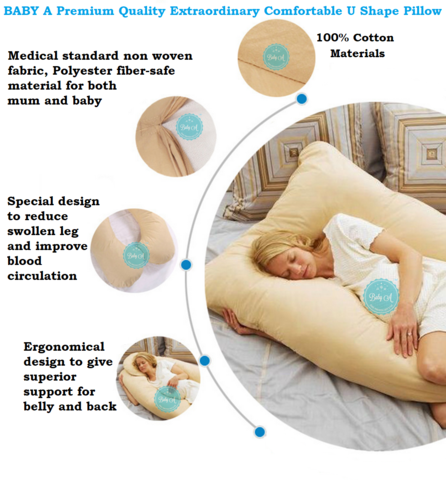 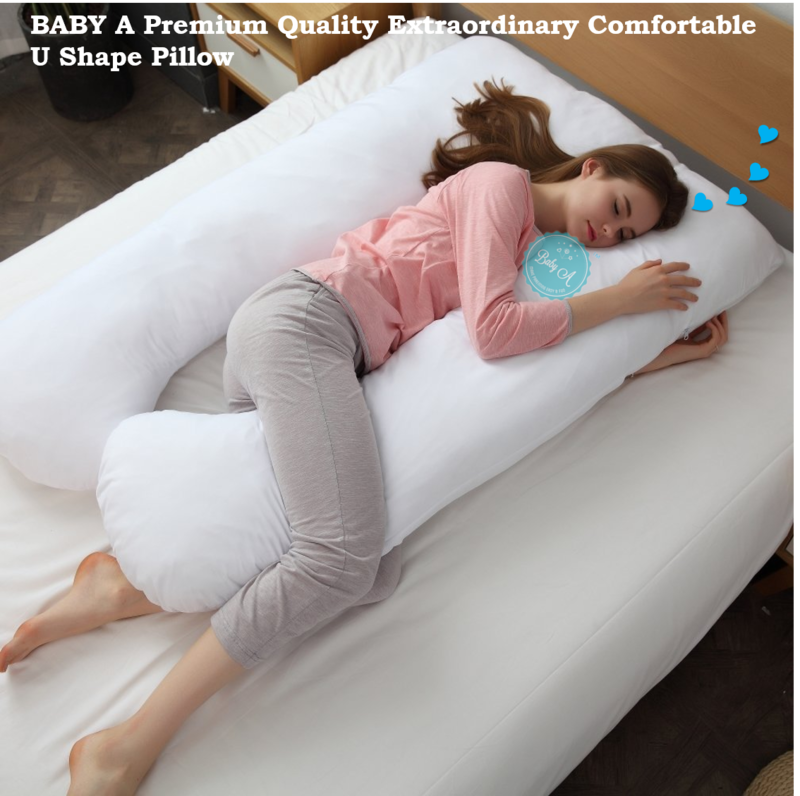 Can be used as nursing pillow after delivery.